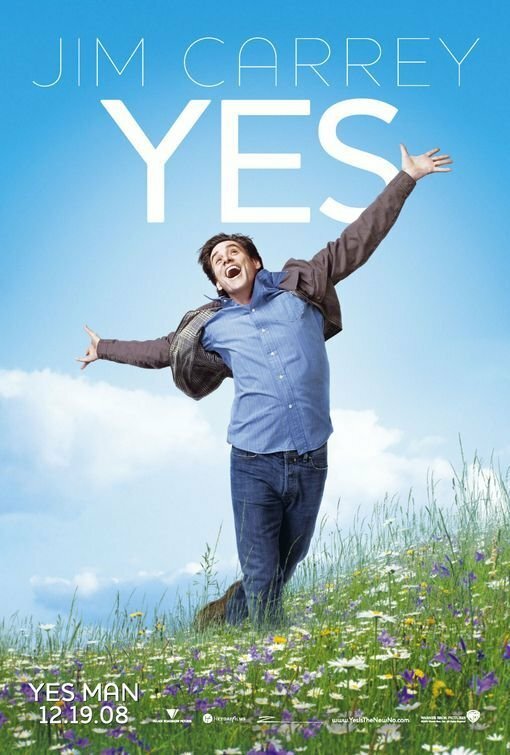 You may remember a film released back in 2008 called Yes Man. If you’ve seen it, you probably remember it as that mediocre film where Jim Carrey runs around saying “yes” to everything. The premise of the film is simple: A lonely, sad man named Carl is down on life until he goes to a self-help seminar which convinces him to go from a “no man” to a “yes man.” Carl takes it literally (who would have guessed?) and starts saying “yes” to everything. And I mean everything. Before long he is meeting new people, trying new things, and having the time of his life. Carl finds a way to say “yes” to life without saying “yes” to literally everything in life. You’re probably asking yourself why I’m talking about a not-so-funny movie, which has nothing to do with running, on a running blog. Yes Man came to mind last week when I was approached by the good people from TomTom, who asked if I was interested in running the Marine Corps Marathon. But then thought about it. I thought about how the race was only about one month away. And I thought about how I haven’t run anything longer than 15 miles in 2 months. And I thought about how I had done no speed work in months. After my most recent road marathon in March of 2012, I decided to make a shift from road racing to trail racing, and half/full marathon distance races to ultramarathon distances. While nothing about a 40 or 50 miler is easy, it felt more comfortable. I like the slower pace of the trails. I like the low-key nature of trail races. I’ve never run a trail race with more than 1,000 people at the starting line, and I like that. Trail running felt safe. Ultrarunning, while incredibly taxing, felt safe. The motivation to run another road marathon just hasn’t been there, and the mere thought of running tough workouts, focusing closely on splits, and dealing with the pressures of a PR gives me the chills. So when I got the email from Kim at TomTom, I was reminded of Carl. Scared to say yes to something which I knew I could do, only because it made me uncomfortable. If we want to improve as runners, we have to take risks and leave the comfort zone. We have to say “yes” to new challenges and ideas. So that’s what I did. I said “yes” to TomTom. Try for a new PR at a distance you are already familiar with. Run your first half or full marathon. Step it up and tackle an ultra. Switch to trails if you are a road runner, or try building up speed on the road if you are trail runner. As cheesy as this stuff sounds is, saying “yes” will bring new, exciting changes you didn’t expect. Since I said “yes” to TomTom and registered for the Marine Corps Marathon, I went from no speed workouts over the past few months to 3 in the past two weeks. Not because I had to, but because all of a sudden I wanted to. I am excited about a distance and race that I haven’t been excited for in a long time. It will push me, and I’m sure I’ll be nowhere near PR shape when I toe the line, but it will be fun. Saying “yes” puts us out there to take risks. Maybe they will blow up in our face, like they did at one point for Carl, but maybe they won’t. Maybe they will be awesome.